Interstellar, Christopher Nolan’s most recent, and possibly most divisive, film to date. Before The Dark Knight Rises, Christopher Nolan seemed untouchable. His films received both critical and commercial success, and the legion of "Nolanites" literally sent death threats to anyone that opposed his reign as the "Best Director of our Time." However, The Dark Knight Rises and Interstellar's mixed reception showed that Nolan was, indeed, human, as even some of his own fans said that it was not the "Best film ever made." So, how Interstellar does actually stack up to his previous work? Let's find out! Plot Summary: Interstellar follows Joseph "Coop" Cooper, a widowed father of two, and a former pilot, NASA astronaut and engineer, as he is recruited for a mission to explore a wormhole that leads to another galaxy with potentially habitable planets. Plot: 8.7/10- Interstellar introduces us to a fascinating future where is famine sweeping across the nation and taxpayer money is no longer spent on space exploration. The world Interstellar builds is enthralling, yet simple. Unlike most "apocalyptic wastelands" ravaged by war or "global warming," Nolan shows us a world that is not too difficult to believe. From the early scenes with Cooper's family on the farm, the film draws you in for an engaging space epic that is gripping from beginning to end. Despite a potentially slow pace and a nearly three hour runtime, Interstellar is never boring. It moves from place to place with ease. The film exploration, of not only space, but the concepts of time relativity and how it affects the characters and the story creates compelling drama. As a fan of time-travel and other science fiction related to time, Interstellar's use of those concepts fascinated me, so if you are not interested in those concepts, maybe you will find it needlessly complicated. 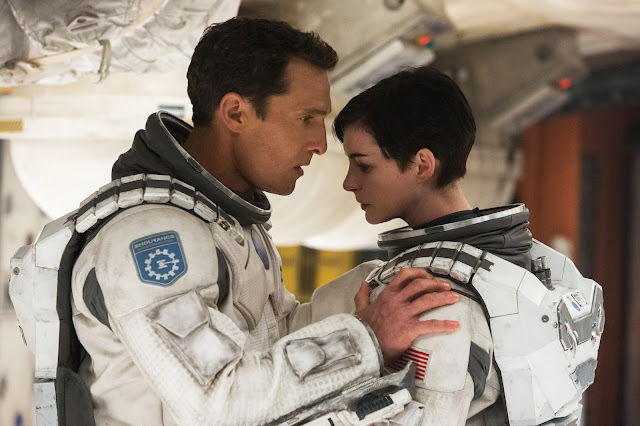 Unfortunately, Interstellar is not without its flaws. Throughout the film, there are minor plot holes, plot conveniences, dumb actions by characters, and various aspects that fall apart when you think about them. However, the film's ambitious ideas overshadow many of the flaws from an entertainment perspective. Characterization: 8.2/10- Cooper is one of Nolan's most relatable and likable characters to date. He is a widowed father with a family, and while that might seem like a cheap way to create an emotional connection with the audience, it certainly succeeded. Sure, Cooper might completely forget his son, but his relationship with his daughter, Murphy, is an effective tether to maintain Cooper’s connection to Earth. Aside from Cooper and Murphy, the supporting is not nearly as well fleshed out. Dr. Amelia Brand is a bland character with inconsistent motivations. She is not a terrible character by any means, but just not a great one. My favorite, however, is the robot TARS. TARS' design is distinctly different than other robots, and as a fan of science fiction, the way the character is portrayed with his wit and the way he is used is fascinating! 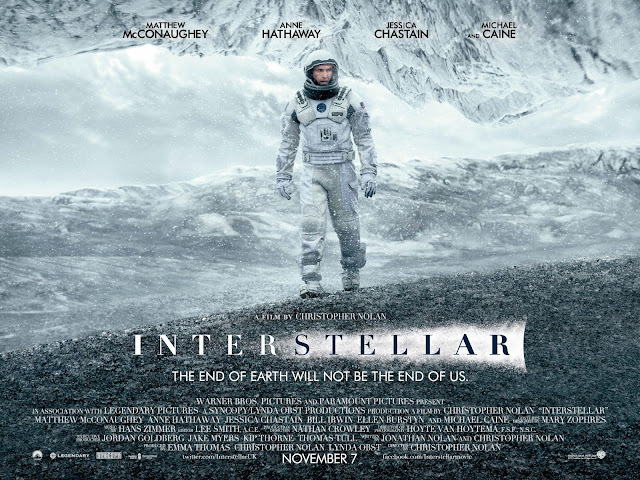 Direction: 9.7/10- Christopher Nolan is at his finest with Interstellar. Visually, the film is striking, especially the scenes in space. However, the strongest aspect of Nolan's direction is the tension he creates. Several scenes of the film are positively gripping! They had me on the edge-of-my-seat! 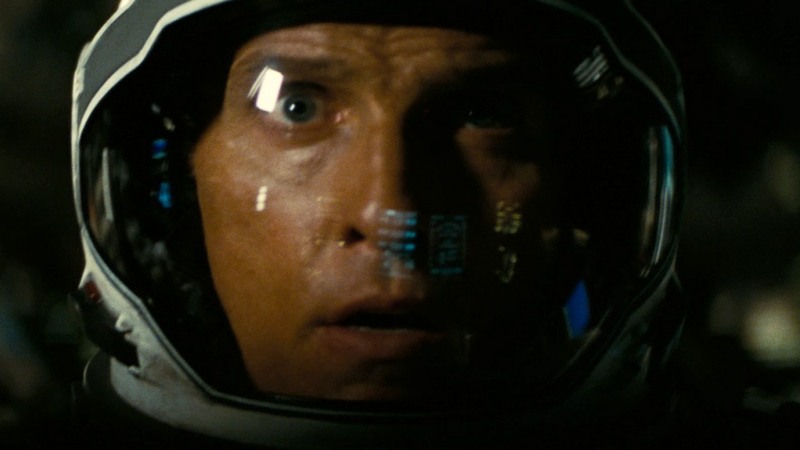 Acting: 9.2/10- Matthew McConaughey is at the top of his game in Interstellar. His slow drawl when he talks draws the audience in, and his performance is the reason Cooper is such a likable and relatable character. Anne Hathaway is adequate in her role, and the rest of the cast do a fine job with the material. 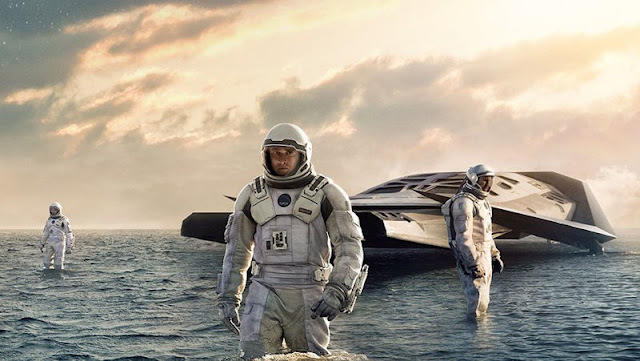 Special effects: 10/10- Hands down, Interstellar has the best visual effects of 2014. Nolan's use of practical effects makes everything look far more realistic, and therefore more engaging. You feel like you are in space! It is incredible. Soundtrack: 9.0/10- Hans Zimmer's score is different than his norm, which is great. His tracks create the perfect atmosphere for the film. However, there is one massive flaw; the music greatly overpowers the dialogue, especially during important scenes! At times, you literally cannot understand a word characters are saying, and it is annoying. How did the film make it past screenings with such a massive flaw!? It felt very unprofessional. Thankfully, it only impacts a few scenes. Humor: N/A- Aside from TARS' perfectly timed humor, Interstellar is not a particularly humorous film. 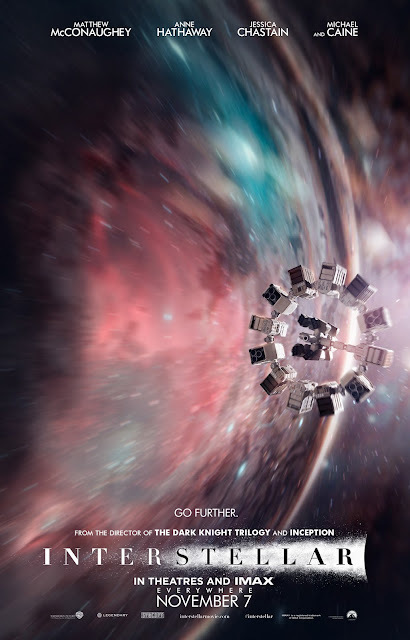 Entertainment Value: 9.7/10- Despite the long runtime, Interstellar felt like watching a two hour film. From beginning to end, it engaged me on multiple levels, and as a sci-fi fan, it opens exciting new frontiers for space exploration films. Overall: 8.6/10- Flawed as it may be, Interstellar is an engaging film that explores ambitious concepts with a main protagonist that the audience can relate to. Sure, it may not be one of Nolan's best films, but it highlights what Nolan excels at: Ambitious filmmaking. Closing comments: Even though Gravity dissuaded my interest in space film, Interstellar rekindles my dire to see more films like this! And in comparison to Nolan's other works, it is certainly better than The Dark Knight Rises, yet considerably weaker than Inception and right below Batman Begins.